Cleveland’s "Teddy Bear" goes home! 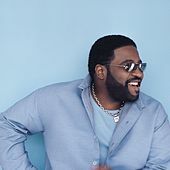 Once again I am left numb as I sit and listen to the many remembrances of Cleveland’s own Gerald Levert. I can’t believe he has passed on at the tender age of 40. Cleveland has lost one of their favorite sons at the prime of his life. His body is gone but his spirit will forever live in this city where in the last few hours everyone is recalling how they knew Gerald or they knew this person who was friends with that person etc. If you live in Cleveland you know how it goes. Above all the last two days have once again proven that we are not in control and the Master has drafted a plan – today could be your last so make the most of it. Live, love and enjoy each day you have. My deepest condolences are sent to the Levert family and the many members of Gerald’s inner circle. You will be missed.